Language(s): Kinyarwanda (official), English (official), French (official), Kiswahili used in commercial centres and by the Army. Major political parties: Rwandan Patriotic Front (RPF); Social Democratic Party (PSD); Liberal Party (PL); Centrist Democratic Party (PDC); Ideal Democratic Party (PDI); Rwandan Socialist Party (PSR) and Democratic Union of Rwandan People (UDPR); Congress Progressive Party (PPC), Solidarity and Progress Party (PSP), Social Party Imberakuri (PS - Imberakuri). Exchange Rate: Rwanda Franc 607.2 = $1 (2011 est.). Landlocked and densely populated, Rwanda has few exploitable resources. The majority of Rwandans rely on subsistence agriculture. Periodic drought, soil erosion and soil exhaustion through over-cultivation on small family plots has led to food insecurity in some parts. Coffee and tea are the main exports, both gradually recovering their former high quality. The tourism sector, still tiny, has potential. Methane gas from Lake Kivu is likely to have a positive impact on national electricity supply in future. Rwanda is committed to a privatisation programme involving the telecommunications, water and electricity, gas, transport and mining para-statals. Rwanda existed as an independent, highly centralised state for several centuries, ruled by a King and noble elite drawn largely from the minority Tutsi (15%) group. It became part of German East Africa in 1899. Following the First World War, it became part of the Belgian-administered territory of 'Ruanda-Urundi', with neighbouring Burundi, under a League of Nations mandate. The colonial authorities initially consolidated the power of the existing Tutsi elite. In an attempt to head off claims for independence from the ruling elite, the Hutu majority was later encouraged to participate in the political life of the country. Independence from Belgium followed in 1962, after a Hutu uprising (1959-61) and large-scale massacres of Tutsi. This brought to power a Hutu-dominated Government led by President Kayibanda. Inter-communal violence between Hutu and Tutsi continued until 1973, when Kayibanda was deposed and a more moderate - but still firmly Hutu - Second Republic was declared under President Habyarimana. Rwanda remained largely peaceful during this period, although Tutsi were still excluded from power and faced widespread discrimination. Many left the country, joining those who had fled the killings of 1959. Power was concentrated in the hands of a single party, the Mouvement Revolutionnaire National pour le Developpement (MRND). Habyarimana and the MRND won several uncontested "elections" through the 1980s. In 1985 Tutsi exiles in Uganda formed the Rwandan Patriotic Front (RPF). Having failed to negotiate their return to the country, the RPF invaded Rwanda from Uganda in October 1990, demanding representation and equality for all Rwandans. A civil war in the border area ensued. Each incursion by the RPF was followed by reprisal massacres, largely of Tutsis, by government forces. A peace agreement was brokered in 1993, the Arusha Peace Accords, which inter alia provided for a power-sharing arrangement involving all political forces and the RPF. But, unwilling to share power, a group of extremist Hutu politicians planned to consolidate their hold on the country by wiping out all the Tutsi, along with moderate Hutu leaders. They prepared the largely illiterate population through ethnic propaganda, armed extremist youth militia (known as the Interahamwe) and drew up lists of those to be targeted. The killing was sparked by the assassination of President Habyarimana in April 1994. The genocide and massacres lasted until July 1994 and cost the lives of around one million Rwandans. It was halted by the RPF taking control of the country. The extremist politicians and over two million Hutu fled the country together with many members of the Rwandan Armed Forces and the interahamwe, both with their weapons to neighbouring countries. The majority went to what was then Zaire. Since the genocide of 1994, Rwanda's international relations have been dominated by its involvement in the DRC (formerly Zaire). Remnants of the forces that carried out the genocide, (known as 'exFAR/I'), who fled there in 1994 soon began to conduct raids back into Rwanda. Frustrated at international and Zairean inaction to resolve this problem, in 1996 the new Rwandan government sent its army into Zaire. The resulting chaos led to the removal of long-standing Zairean dictator Mobutu Sese Seko from power, and his replacement by Laurent Kabila. Although the majority of refugees returned to Rwanda, significant numbers of exFAR/I took refuge deep in Zaire’s forests where they again began to plan further operations against Rwanda. Tensions between Rwanda and Laurent Kabila, combined with the latent threat from the exFAR/I, led to a second Rwandan intervention in the Congo in 1998, supported by Uganda and Burundi. This triggered a bloody and complex conflict in the DRC that continued until 2003. Rwandan troops withdrew in late 2002 but allegations of Rwandan involvement in the DRC continued and relations between Rwanda and the DRC remained poor until late 2009. In January 2009. The Rwandan and Congolese governments announced that they were launching a joint offensive against the ex-FAR/I in Eastern DRC. During Operation 'Umoja Wetu' ('Our Unity'), Rwandan troops entered DRC at the invitation of the government. Since the operation, relations between Rwanda and DRC have remained stable, with increased contacts between the governments including a summit between Presidents Kagame and Kabila in August 2009 in the border town of Goma. Both countries have exchanged Ambassadors and have opened embassies. The relationship between Presidents Museveni of Uganda and President Kagame has improved. The Rwandan and Ugandan armies fought each other in Kisangani, DRC, in 1999 and 2000, and cross-border tensions were bolstered by mutual accusations of support for dissidents. But UK-led diplomatic involvement and co-operation at international organisations – notably Ugandan sponsorship of Rwanda’s application to join the Commonwealth – have led to a considerable improvement in relations in recent years. Rwanda has taken an active role in the African Union (AU). Rwanda deployed troops to protect the AU's monitoring mission in Darfur, Sudan on 15 August 2004, and has subsequently increased its deployment. It also joined the East African Community in June 2007, along with neighbouring Burundi. Rwanda is also a strong supporter of the New Partnership for African Development, NEPAD, the AU’s flagship development plan, and was the first country to complete NEPAD’s African Peer Review Mechanism. 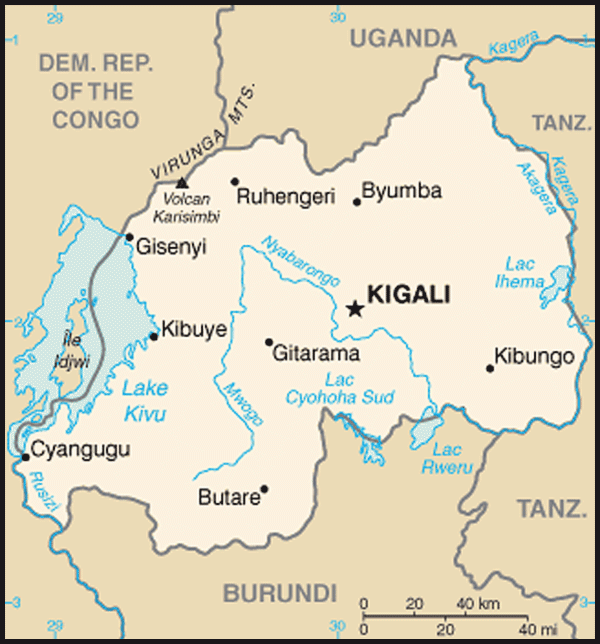 Rwanda was admitted to the Commonwealth in November 2009. Rwanda's application to join the Commonwealth was considered under a new process agreed by the Commonwealth Heads of Government at their 2007 meeting in Kampala. Following a series of consultations and visits throughout 2008 and 2009, Commonwealth Heads of Government agreed to admit Rwanda as the 54th member of the Commonwealth during their meeting in Trinidad and Tobago. In October 2011, Rwanda attended its first Commonwealth Heads of Government Meeting as a full member, in Australia. Before 1994, the UK’s relationship with Rwanda was formal but thin. There was no resident diplomatic representation. An Embassy was opened for the first time in 1995. Relations are now close. The UK's Department for International Development (DFID) has an office in Rwanda, which manages the UK's development partnership with Rwanda. The British Council opened its Rwanda office in 2008, teaching English to government workers. In November 2009, following Rwanda's acceptance into the Commonwealth, the British Embassy in Kigali and the Rwandan Embassy in London became High Commissions. Outward: Douglas Alexander, then Secretary of State for International Development (January 2009), Stephen O’Brien, International Development Minister (June 2010), Andrew Mitchell, Secretary of State for International Development (December 2010), International Development Committee (May 2011), Andrew Mitchell, Secretary of State for International Development (July 2011). Inward: President Paul Kagame (December 2006, October 2007, December 2008, July 2009, September 2010, October 2011). 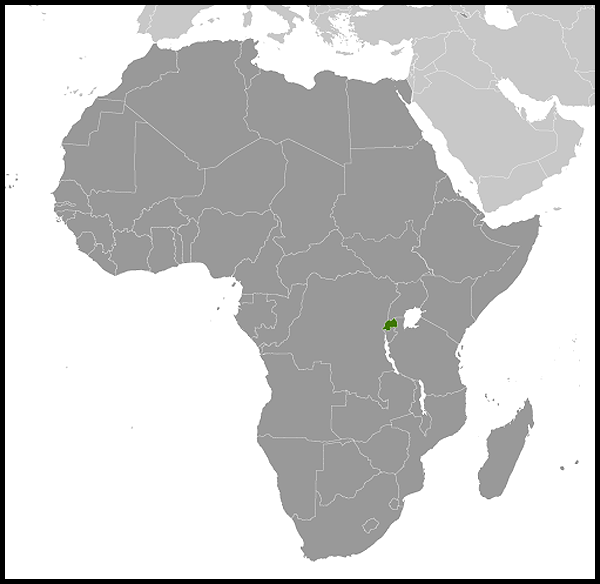 Rwanda, a small land-locked mountainous country lying south of the Equator in Central Africa, borders the Democratic Republic of the Congo (DRC), Uganda, Tanzania and Burundi. It has a temperate climate with two rainy seasons (March to May; October to December). UK exports to Rwanda were estimated at £6.5 million in 2008. UK imports from Rwanda were estimated at £14.5 million in 2008. Rwanda is one of the 20 poorest countries in the world. It ranked 166 of 187 countries in the 2011 Human Development Index. Since 1994, it has made significant progress in uplifting the traditionally poor socio-economic indicators. The number living below the poverty line (on less than $1 per day) declined from 56.7% in 2006 to 44.9% in 2011. Enrolment in primary school is now at 94%. Underlining the progress Rwanda has made in poverty reduction, it qualified in April 2005 for debt relief under the enhanced HIPC initiative, amounting in real terms to some US$1.4 billion. Rwanda remains highly aid-dependent. Currently, some 50% of government revenue comes from donor support. The UK is one of the largest aid providers in Rwanda. Total UK aid in 2011/12 is £75 million. The UK provides two-thirds of its support to Rwanda through Budget Support. Under the terms of a Memorandum of Understanding signed in February 2006, the UK will provide at least £460 million in development assistance over the next ten years. DFID has a large office in Kigali. The RPF has remained the dominant party in Rwanda since July 1994 when it set up a Transitional Government of National Unity, sharing power with other parties, under the formula agreed at Arusha in 1993. This arrangement, together with a nominated 70-member multi-party Transitional National Assembly lasted until 2003. During that period, the RPF ensured domestic security, put in place programmes for economic reconstruction, justice and community reconciliation and ended any official distinction between Hutu and Tutsi. Under a new constitution agreed by referendum in May 2003, Presidential and parliamentary elections took place in August and September 2003. Paul Kagame was elected President with 95% of the vote for a seven-year term, and the RPF won 73.8% of the votes in the parliamentary elections. The first post-transition parliamentary elections took place in September 2008, where the RPF increased its share to 78% of the vote. Presidential elections were held again on 9 August 2010, and President Kagame was returned for a second seven-year term, with 93% of the vote. Although voting in the 2003 and 2008 elections was generally well run and orderly, international observers reported irregularities in the electoral process, including intimidation of voters and a lack of transparency in the consolidation of results. Although the Electoral Code was amended in time for the 2010 Presidential elections, simplifying the results consolidation process, international observers still noted problems in this area. The Government of Rwanda places a strong emphasis on consensus and national unity in politics. All registered political parties have to join the Forum of Political Parties, where parties meet to discuss government policies and promote consensus. Parties are prohibited by law from organising on an ethnic, regional or religious basis. Six of Rwanda's then nine registered political parties formed a coalition with the RPF during the 2008 elections. The remaining two parties both have cabinet ministers. In July 2009, a new political party, The PS-Imberakuri, was registered, but it has subsequently experienced internal divisions. Independent political parties, including the Democratic Green Party and FDU-Inkingi, have been unable to register themselves, and did not enter candidates in the 2010 Presidential elections. In 2002, former President Pasteur Bizimungu was sentenced to 15 years imprisonment for a variety of offences after trying to establish a political party. He was subsequently granted a Presidential pardon and released in April 2007. Leaders of one faction within PS-Imberakuri, and of FDU-Inkingi, were arrested during the second half of 2010 on a variety of charges, and remain in custody. Local Government and (indirect) Senate elections were held during 2011. The next major elections are the Parliamentary elections, due in 2013. Rwanda has ratified the majority of UN Conventions on human rights issues, most recently ratifying the Convention Against Torture in 2008. The Government has established a Treaty Monitoring Task Force that has begun reporting to the UN treaty monitoring bodies. In July 2007, Rwanda abolished the death penalty. In 1999, the government established a National Human Rights Commission, which investigates complaints of human rights violations from the public. In 1994, the UN Security Council established an International Criminal Tribunal for Rwanda (ICTR) to try the main leaders and planners of the genocide. Its progress has been slow but, as of 30 October 2009, it has delivered judgements against 47 accused. Given the large number of Rwandans involved in the genocide and the inability of the local Judicial system to cope, the Rwandan government set up in 2002 a modern version of the traditional justice system, called Gacaca, which tried offenders within their own communities. Gacaca courts, which are estimated to have heard over a million cases, were due to complete their work in 2009, but trials continue under this system. Human rights abuses continue to be reported in Rwanda, and human rights NGOs suffer restrictions and harassment. The press is closely controlled, and independent journalists and opposition politicians face intimidation. Two leading independent newspapers, Umuvigizi and Umuseso, were suspended by the Media High Council in April 2010, and later closed down. The independent Umurabyo newspaper was also closed down in 2010, and its editor and a journalist sentenced to seven and 17 year sentences respectively, on charges including offences against national security, after publishing editorials critical of the government. There have also been threats to and attacks against members of the Rwandan diaspora. Human rights organisations assert that accusations of promoting 'divisionism' and 'genocide ideology' have been used to silence criticism of the Government. Many NGOs continue to focus on education and reconciliation in the wake of the genocide. The Rwandan constitution requires that at least 30% of senior government positions be filled by women. In parliament, over 50% of deputies are female, making Rwanda the country with the highest percentage of female parliamentarians in the world.